Blogging is a magnificent thing that enhances your potential towards your interest, hobbies, lifestyle, food, fashion, writing, etc. It is a great platform to showcase your knowledge. It is an amazing way to build your contacts and skills on your particular choice of interest. In order to make your blog full of impact, one must have a theme which makes your blog professional, proficient, simple yet attractive. Your blog must have an approachable and responsive web design which makes sure that every visitor has their best experience at your site regardless of whatever device they use. 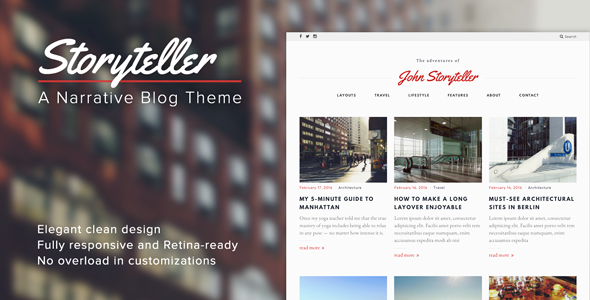 Here are some of the Best Personal Blog WordPress themes for Blogging. Choose one for you and start your personal blog today. Blogging is about recording your opinions in written and interacting with commenters. 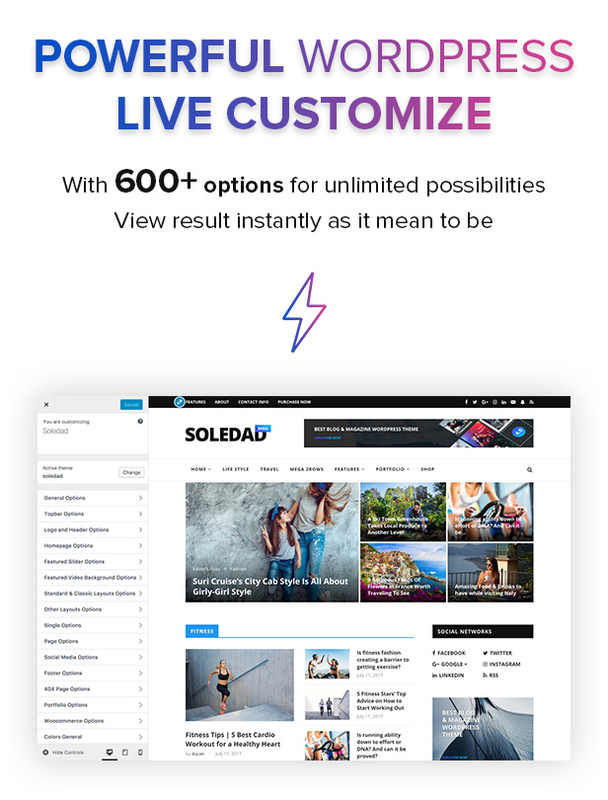 With the rising emphasis on social media, Soledad allows you to captivate and connect with every visitor on your website. Its extensive research gives us the ability to understand what you ultimately need for your website. 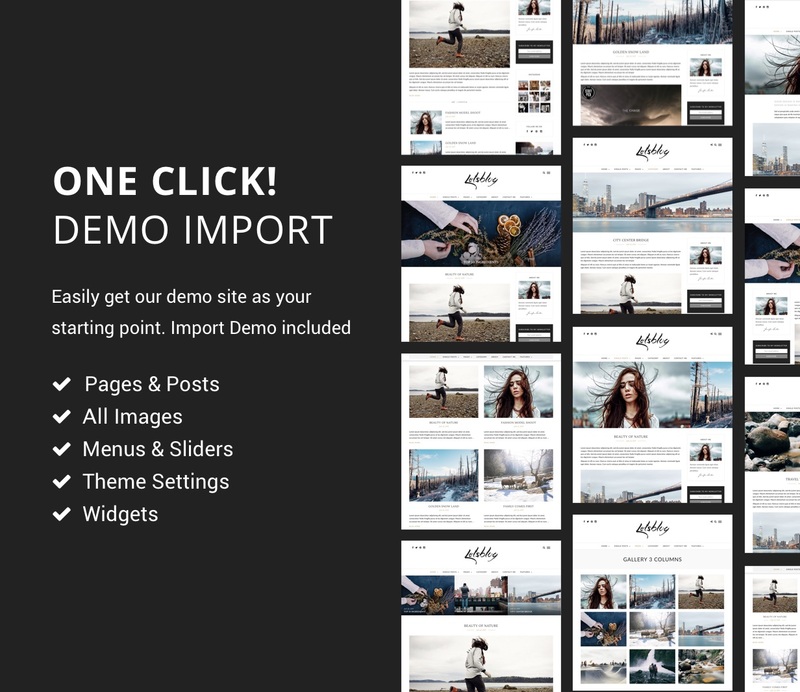 It has an amazing real gallery with pre-made 36 beautiful featured slider styles. 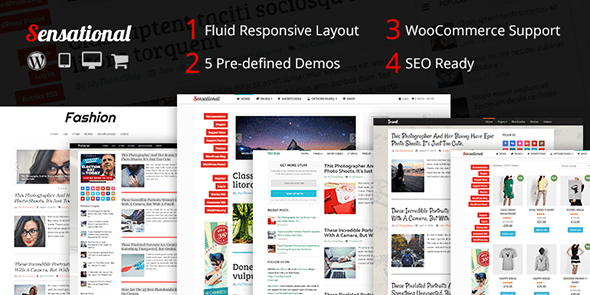 Multiple mega menus and multiple article layouts with 9 header styles. Storyteller intends to target the vlogging audience or the users who looking for a theme compatible with there choices and personal interests. The theme has a strong accent on typography, readability, and images which makes it a great choice for your creative ideas. The clear design and easy to set up interface makes the theme easier for the users. It has a several layouts option includes 2- and 3-column grids, masonry, and simple classic blog layout. The theme comes with a social media integration with swipeable pictures galleries option makes the theme looks more responsive. Like its name it clearly provides a clean, elegant, retina-ready and fully responsive blog or magazine website. Every page is designed to look great on all devices. It also passes google mobile compatibility check. It is fully customizable with 10 blog templates, gallery and video support coupled with over 500+ Google Fonts give you many design options. It has custom sidebars and custom widgets. You can effortlessly select the boxed and wide layout in live customizer which reflects the result back to you instantly. 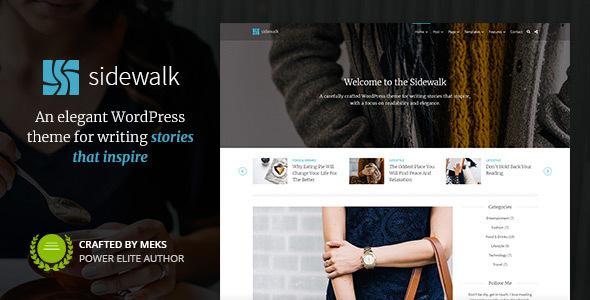 The Sidewalk is beautiful, professionally coded and easy to use WordPress theme. It is made with a focus on readability which gives every visitor a great experience. One of the best thing about this theme is it will suit personal blog, professional blog as well as simple magazine/news websites. It has an attractive full-width cover image which can be easily turned off if you only need a simple header. It has multiple layouts and can assign different layout for each category. It is a great choice for serious bloggers. 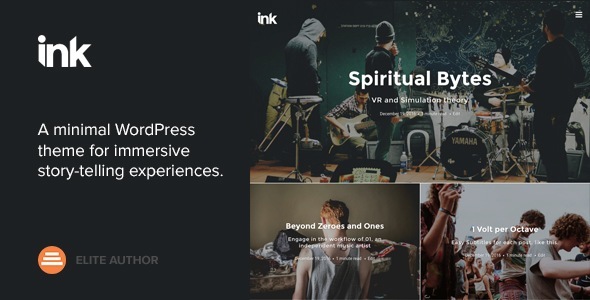 Ink is from Elite Themeforest author codes tag. It enables bloggers to narrate stories in the most captivating way. It is compatible with every device and looks stunning on screens. It has a new Options Panel which provides endless customization options. It gives an option to create a custom layout using 4 custom sections widget. There are 9 layouts for default home screen with a background setting panel. It is a great blog out of the box. 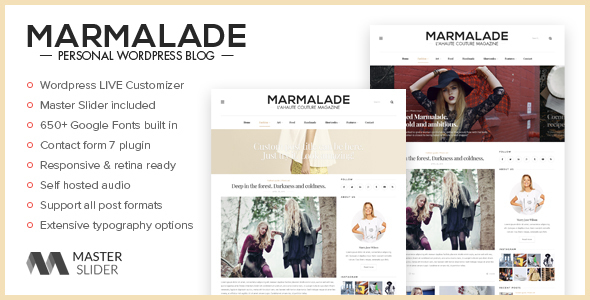 The Marmalade is simply a stunning WordPress theme. It has a mindset of empathy for any kind of blog. It has multiple post formats, and extensive typography with 650+ built Google fonts, maximum and attractive multiple grids. 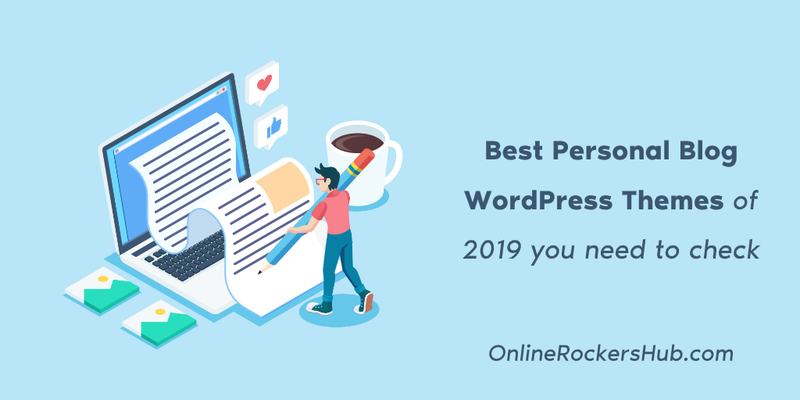 The WordPress live customizer permits you to modify every feature of your blog and see live changes, making this theme companionable for all users, particularly the WordPress beginners. Its premium service helps you to stand out. The Newspaper theme has got everything which you need for your personal blog. 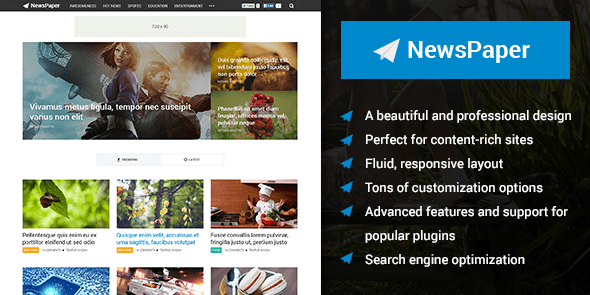 This bestseller theme is perfect for blogging and excellent for newspaper, magazines, publishing or view site. It is designed on the frontend. And it has 420+ ready to use one click element and templates. It has a massive collection of wonderful layouts. Google AMP loads content 5x faster. It can be integrated with the Instagram, bbPress forum, BuddyPress and WooCommerce and uses the best SEO practices. Newspaper supports responsive Google Ads and AdSense. Check the best performance of this Newspaper Theme. 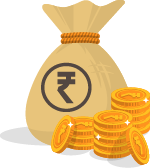 Sensational Theme has the capability to modify an average looking website to a quite magnificent one. It has many color options, 4 different layouts, a beautiful slider, an off-canvas menu, and unlimited background textures, patterns, solid color and more which impress visitors. The theme includes sleek lightbox to show off your multimedia content. Also, It integrates social media and has WooCommerce Support. This theme is translation ready with one click installation and one-click updates. 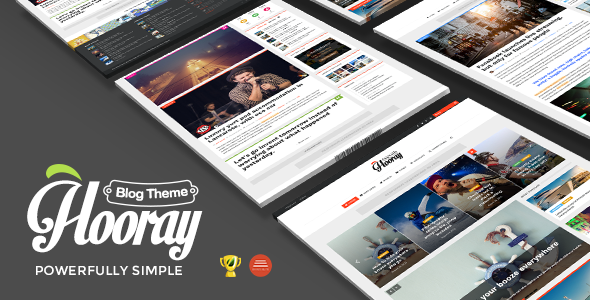 Hooray is a stylish, fun and colorful theme which can effortlessly grab the visitor’s attention. It has 4 footer layouts, 3 different portfolio layouts, 6 different blog layouts, 30+ custom widgets, and 40+ shortcodes. Each category has a custom color and custom logo. It has got unlimited sidebars with a beautiful featured slider. The social counter will seize the latest count of your subscribers, fans, followers etc from your favorite social networks to boost traffic on your website. A clean and simple WordPress theme. There are 11 blog layouts to choose from, with the bundled Visual Composer plugin, you can tweak your layout into almost any design you imagine. There is nothing unique about this theme but if you want to have an elegant neat and easy to go theme then Journey can be the option. These are the Best Personal Blog WordPress Themes. If you had tried any of the above themes, do share your feedback with us in the comments section. Also, if you feel, any particular theme has to considered for this list, let us know in the comments section. I agree with your list. These are definitely the best themes on ThemeForest. My favorite is the Newspaper theme to daily write your blog posts. In my opinion, Genesis framework themes available on studio press are best for simple blogs. sure, It is hard and costly to create a customized parent theme. That’s why I had to let my money go waste on genesis framework. But Genesis Framework is still one of the most popular WordPress Frameworks. It gives your website a standard appearance. It is not possible for everyone to afford for a customized parent theme and I don’t feel any need for it. Do you find any trouble with Genesis Framework?